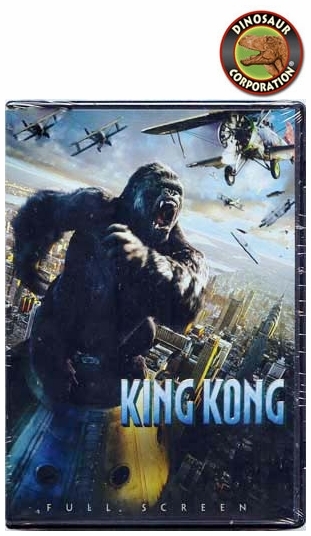 King Kong DVD by academy award winning director Peter Jackson. In this spectacular film filled with heart pounding action, terrifying creatures and groundbreaking special effects unlike anything you have seen before! Get ready for breathtaking action in this thrilling epic adventure about legendary gorilla captured on treacherous island and brought to civilization, where he faces the ultimate fight for survival.